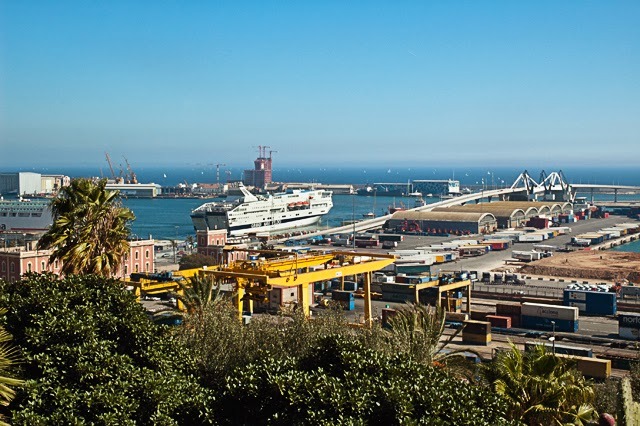 Barcelona is consolidating as the first port for Mediterranean cruises and this position has been strengthened after Carnival Corporation & plc reached an agreement last September with the Port of Barcelona to build and operate a new terminal known as Terminal E. Over 20 million EUR will be invested in what is going to be the eighth International Cruise terminal in the port (see image below). Everything is supposed to be finished by 2016. 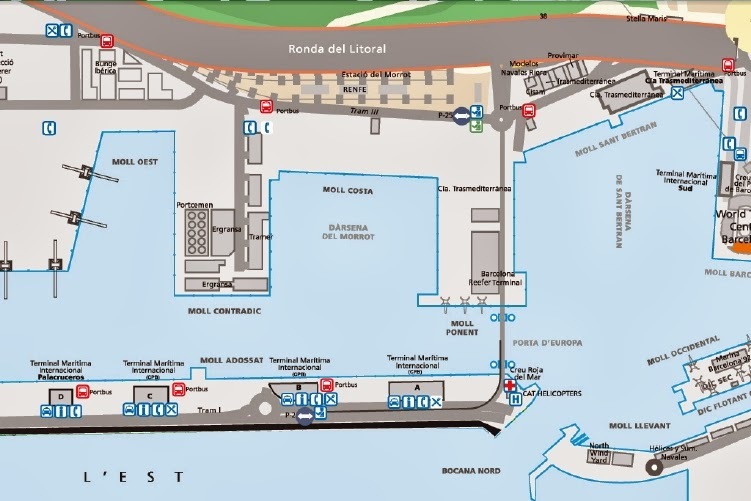 Also check this info graph about the evolution of the Port of Barcelona from 1956 to 2011 to have an idea of how big the transformations have been. Almost 2.6 million cruise-goers are expected in 2013 according to Barcelona's Tourist Office. They estimate that last year's figures had an economic impact of nearly 300 million EUR on the city's economy. The increase in the number of passengers adds up to the growth of tourism in Barcelona. Seven million tourists come each year and spend more than 20 million EUR a day in the city. Cruiser sector investments be it by external companies or by the port, are contributing not only to the economic bliss of Catalan tourism but also to Spanish economy in general. According to a study from the European Cruise Council the cruise industry provided Spain with 1.190 billion euros in 2010. To better understand about who runs what and where in the cruise terminals at Barcelona's port, I think you should check this official brochure entitled Barcelona Cruise Facilities 2013. Regarding Barcelona cruises, I must say that there are many to choose from and it all depends on your budget, the cities you want to visit and of course the quality of the service. I would pick up of course a Barcelona to Barcelona cruise with the best quality-price relationship and a fantastic itinerary. I reckon it is not an easy task. Have you ever been on board of a cruise ship in the Mediterranean? Which cruise would you recommend?